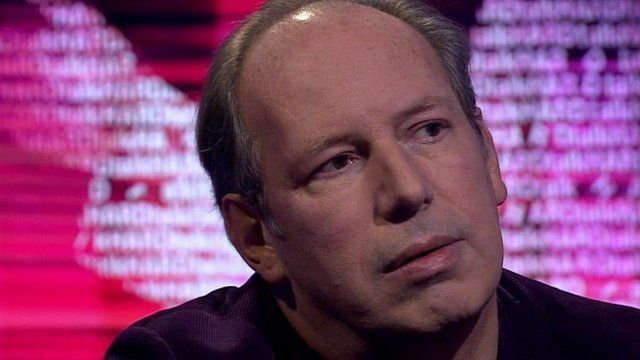 One of the composers for Batman v Superman: Dawn of Justice, Hans Zimmer has told BBC HARDtalk he is retiring from composing music for superhero films. "I did Batman Begins with Chris [Nolan] 12 years ago, so The Dark Knight Trilogy might be three movies to you, to me it was 11 years of my life," he said, explaining that he then worked on Man of Steel and Batman v Superman: Dawn of Justice. "This one was very hard for me to do, to try to find new language," he said. Award-winning composer Mr Zimmer has produced music for over 150 films including the The Lion King, Inception and Interstellar. Watch the full interview on Wednesday 30 March 2016 on BBC World News and the BBC News Channel. UK viewers can also watch it on BBC iPlayer.